We offer an unmatched range of Portable Asphalt Plants to our esteemed clients. These are fabricated in accordance with the international quality standards. 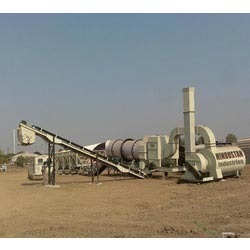 Our range provides optimum solution for producing asphalt. Looking for Portable Asphalt Plant ?